When washing vehicles, the use of the correct cleaning cloths and brushes will always ensures a great finish to paneling and windows without causing any damage to paintwork. 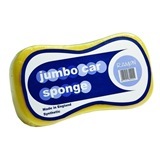 A decent jumbo car sponge provides the absorbency to soak up water and your chosen cleaning product, spreading it over the car whilst lightly scrubbing the layers of dirt off prior to rinsing. 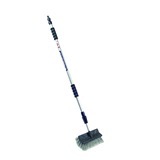 Our range of car washing and valet products and accessories will ensure you've always got the perfect tools for the job; ideal for mechanics, mobile car cleaners, and valets.